The Exceptional Minds studio staffed by professionals on the autism spectrum started the new year with 44 television shows and 84 movie features to its credit. Among all the movies, three of the five movies are nominated for Oscar 2019 in the visual effects category and two has been nominated for the best picture category also for 2019 Oscar as announced by the Academy of Motion Picture Arts and Sciences. 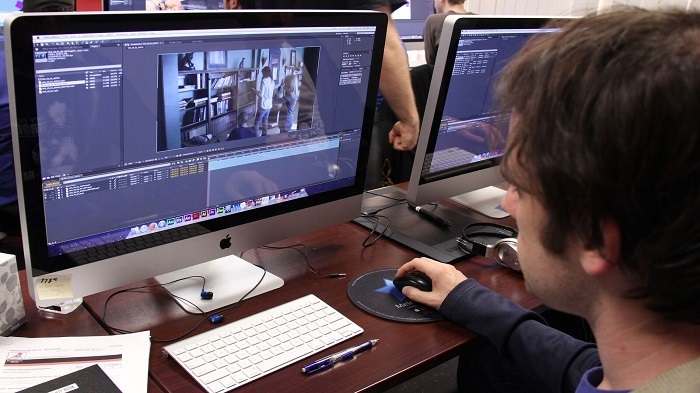 A nonprofit initiative with an innovative approach to gainful employment for people with autism, the studio artists did visual effects for 2019 Academy Award nominees Avengers: Infinity War, Black Panther, First Man, Green Book and Solo: A Star Wars Story as well as for four 2019 Golden Globe nominees Black Panther, Crazy Rich Asians, First Man and Green Book and three of the five 2018 Oscar nominated movies in the visual effects category. “We get asked often how we can create job opportunities in the competitive entertainment industry for a population that has one of the lowest employment rates. There are many reasons—a great education program, for one—but I think the main reason is that we have raised our expectations. We challenge everyone who walks through these doors to reevaluate their expectations for people with autism, and you know what? They meet, if not exceed, our expectations every time,” said, Exceptional Minds executive director Jeffrey Shapiro, a vocational academy and studio for adults on the autism spectrum who are pursuing careers in visual effects and animation. The studio of working professionals, all on the spectrum and graduates of the studio’s three-year vocational program, have taken on progressively more complex projects and gained the attention of leaders in the entertainment industry, according to Exceptional Minds Studio executive producer Susan Zwerman. “We owe our success to the support of the industry,” she said. The Television Academy recognised Exceptional Minds for its contribution to the Game of Thrones episode Beyond the Wall, which received an Emmy award for Outstanding special visual effects in 2018. Previously, the animated feature Benny’s Story created by the studio animators for the Sesame Workshop online initiative autism: See Amazing in all children was nominated for a 2016 Daytime Emmy award. It was recognised by the Jane Seymour Open Hearts Foundation as one of three nonprofits making an impact on society in 2017, opened its doors as a learning academy in 2011 to bring career opportunities to people with autism where none existed before. Since then, Exceptional Minds has grown from a small classroom with nine students to a successful nonprofit with a full-time, three-year program and a working studio where graduates get paid to work on projects for the entertainment industry. The studio opened in 2014 to bring paid work experience to its graduates and has since been contracted to do visual effects for productions by HBO, Industrial Light & Magic, Marvel Studios, Netflix, Sony Pictures, 20th Century Fox, Universal Pictures, and Warner Bros. among others. The studio added animation to its professional services in 2016, adding 29 animation projects to its list. Included is an animated short for Cartoon Network’s Stop Bullying: Speak Up initiative as well as an animation for the Special Olympics Inclusive Health Initiative Inclusive Health: Bridging the Gap and an animated sequence for the television series Atypical. The working studio continues to expand its artists’ skillset with recent projects for the gaming and mobile app industries. Exceptional Minds artists have done visual effects or end title work for Ant-Man and the Wasp, Captain America: Civil War, Doctor Strange, Jurassic World, Star Wars: The Last Jedi, Thor: Ragnarok, Spider-Man: Homecoming, X-Men: Apocalypse and 76 other movies. The studio has also done visual effects work for Game of Thrones, The Good Doctor and Atypical and 41 other television shows. Exceptional Minds visual effects artists have worked on every season of the long-running Game of Thrones series. One in 59 children are diagnosed with autism in the U.S., with a total national economic impact estimated at $90 billion annually an amount that is expected to double in the next decade. 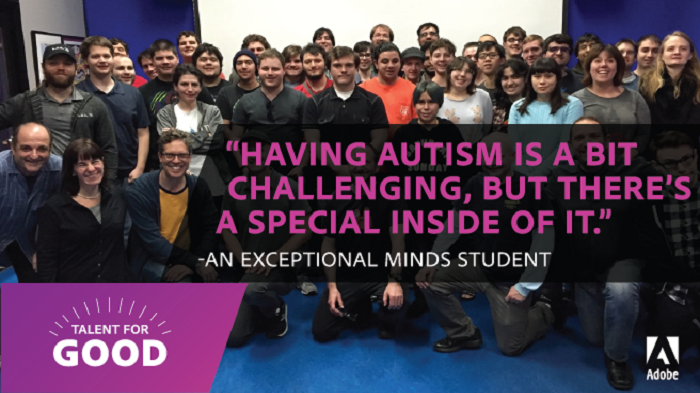 Exceptional Minds is the first, and currently only, educational academy and working studio for adults on the autism spectrum pursuing careers in visual effects and animation.